Drama starring Julianne Moore as a linguistics professor who is diagnosed with Alzheimer's disease. Beginning with the loss of a few words in the middle of a lecture, Alice (Moore) becomes increasingly disorientated and even begins to feel lost in her own home and neighbourhood. 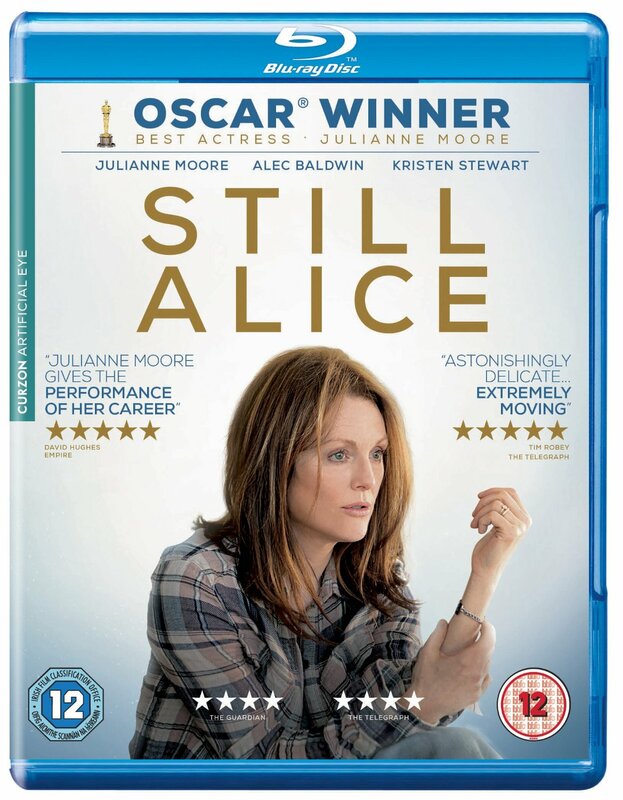 Initially calm after the diagnosis, Alice struggles to cope with the everyday realities of the illness as her short-term memory rapidly deteriorates, forcing her to eventually leave her teaching post at Columbia University. Along with Alice, her two grown-up children (Kate Bosworth and Hunter Parrish), rebellious daughter Lydia (Kristen Stewart) and husband John (Alec Baldwin) have to come to terms with the full implications of the hereditary disease. Moore won a Golden Globe, a BAFTA and an Academy Award for her performance. Drama starring Julianne Moore as a linguistics professor who is diagnosed with Alzheimer's disease. Beginning with the loss of a few words in the middle of a lecture, Alice (Moore) becomes increasingly disorientated and even begins to feel lost in her own home and neighbourhood. Initially calm after the diagnosis, Alice struggles to cope with the everyday realities of the illness as her short-term memory rapidly deteriorates, forcing her to eventually leave her teaching post at Columbia University. Along with Alice, her two grown-up children (Kate Bosworth and Hunter Parrish), rebellious daughter Lydia (Kristen Stewart) and husband John (Alec Baldwin) have to come to terms with the full implications of the hereditary disease. Moore won a Golden Globe, a BAFTA and an Academy Award for her performance.